We stood by this historical marker as we were waiting in line for Cafe Du Monte. This historic place is located at 770 Decatur, New Orleans in the Parish of Orleans, Louisiana. The GPS coordinates for this location are N 29° 57.442 W 090° 03.724. First sighted as Indian portage to Lake Ponchartrain and Gulf in 1699 by Beinville and Iberville. 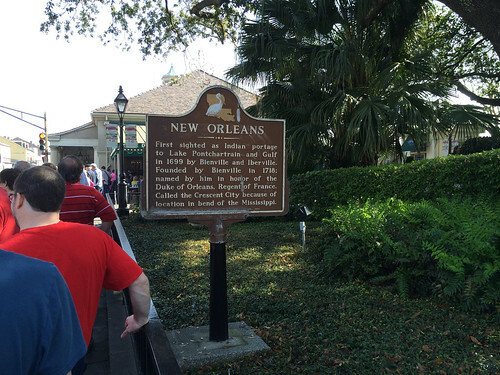 Founded by Bienville in 1718; named by him in honor of the Duke of Orleans, Regent of France. 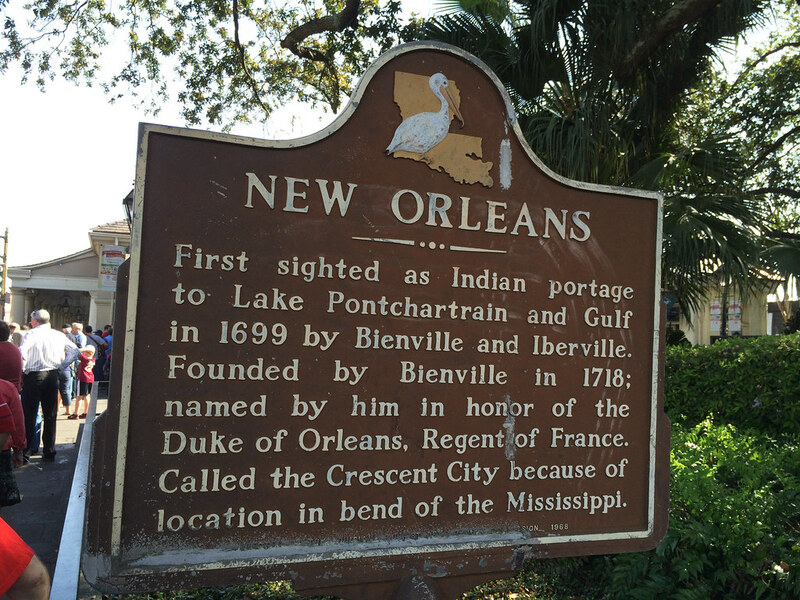 Called the Crescent City because of location in bend of the Mississippi.